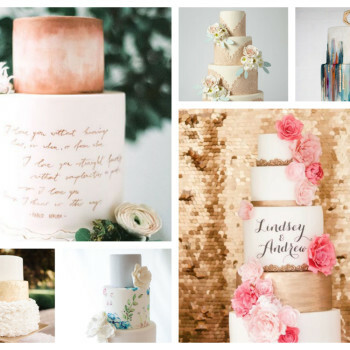 There are no rules when it comes to the modern wedding, other than that it should be a celebration of the couple’s love and commitment. 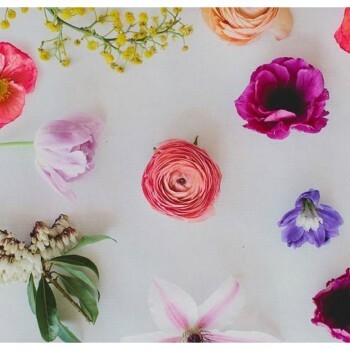 It is a wonderful chance to express creativity and show a little of the bride and groom’s individual flair. 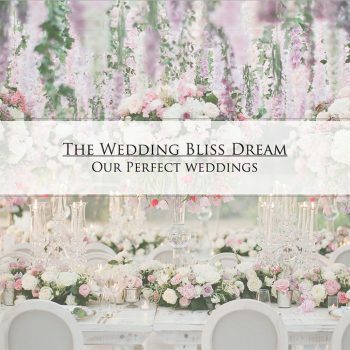 When money’s no object, the wedding day can be a lavish work of art as well as a nuptial ceremony. 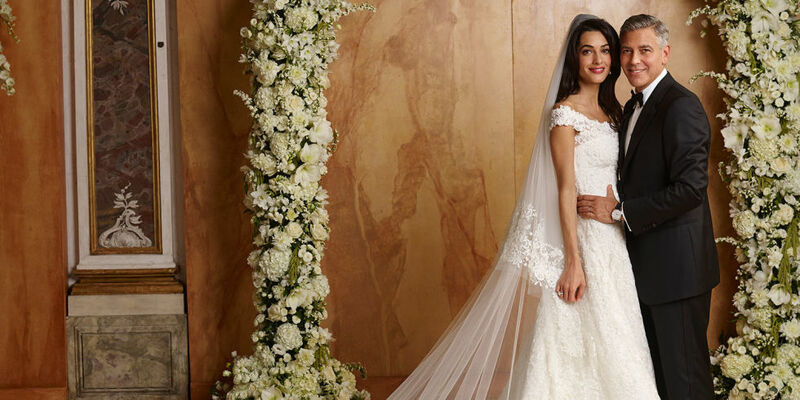 These six celebrity couples said their vows with style. 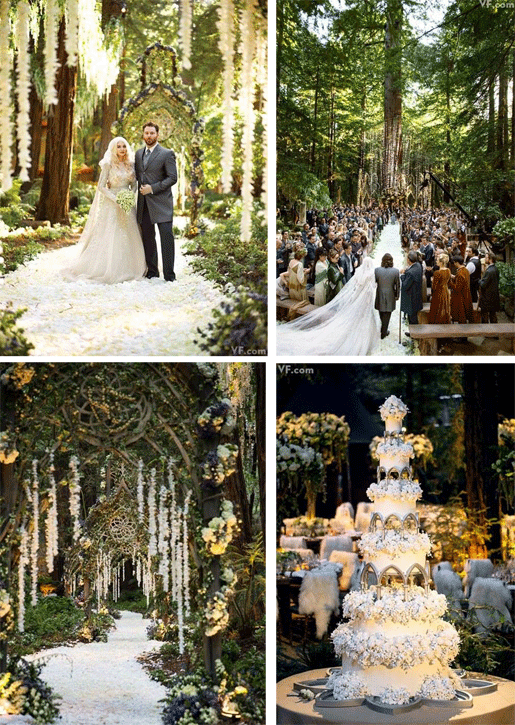 Among the majestic redwoods of Big Sur, California, social media baron Sean Parker exchanged the vows with the singer Alexandra Lenas. 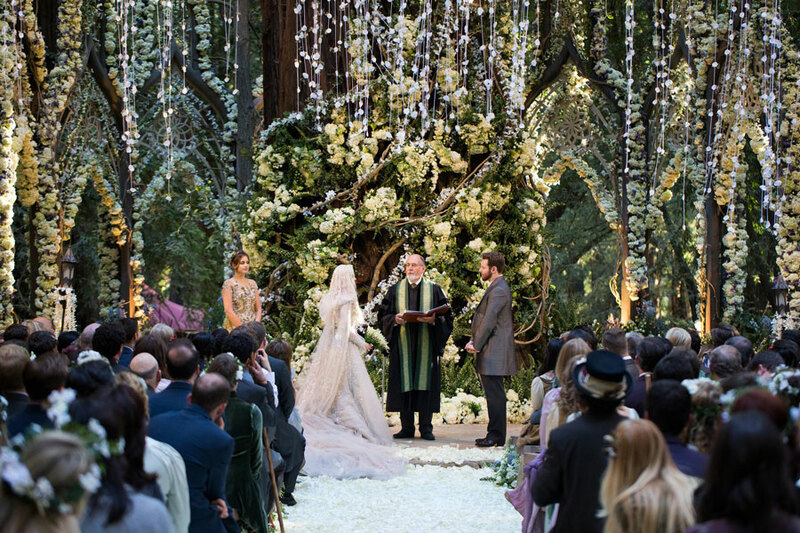 The June 2013 wedding had a ‘Lord of the Rings’ atmosphere, and all 364 guests had custom-made costumes made by the film’s costume designer, Ngila Dickson. Parker sang “Part of your World” from The Little Mermaid to his new wife to begin the first dance. 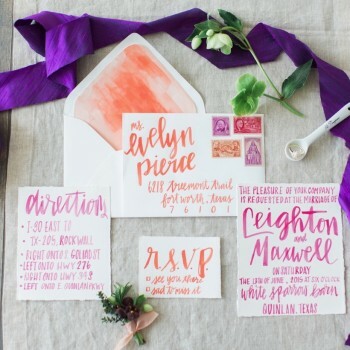 The couple treated their guests to a day that was as much performance art as a celebration of love. 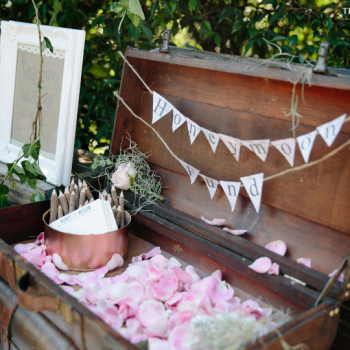 We love this wedding because of the inspiring originality of the theme and the stunning natural venue. Heiress Nicky Hilton married banker James Rothschild at Kensington Palace in London on 10 July 2015. The couple has been dating since 2011 and became engaged last year. 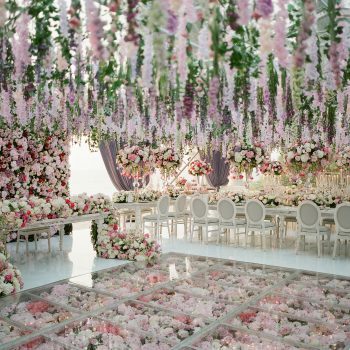 Their wedding was a lavish affair and included tables laden with fresh roses in pink hues and romantic candlelight. Nicky wore a flowing ivory and silver lace gown and carried a bouquet of fragrant white flowers. 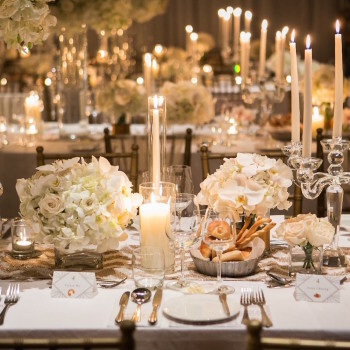 The black-tie ceremony was a classic fairy tale wedding with just a little of the signature Hilton exuberance. The best thing about this wedding was the divine long-sleeved Valentino gown and the timeless elegance. Romantic Russian photographer Murad Osman married his girlfriend and muse in June 2015 in Moscow. 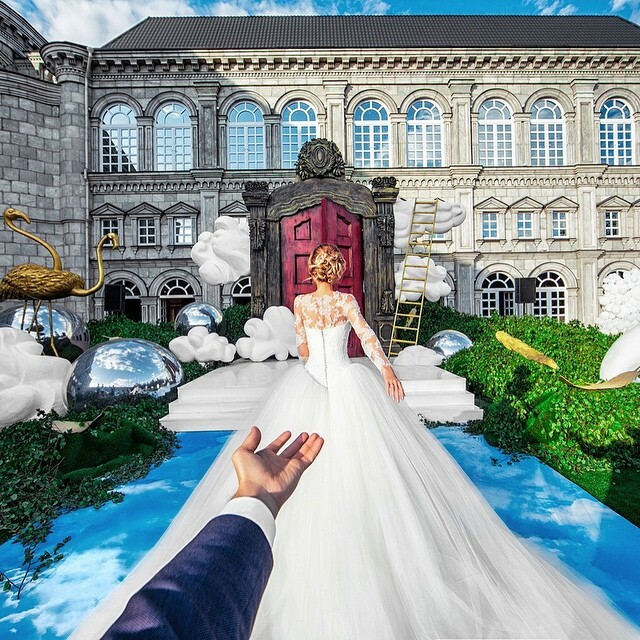 Murad gained worldwide attention with his #followmeto series on Instagram, which featured stunning photos of Natalia in some of the world’s most beautiful locations. 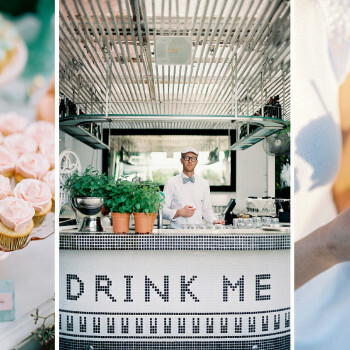 The wedding had a fairy tale atmosphere and a sense of the couple’s fun-loving personalities. 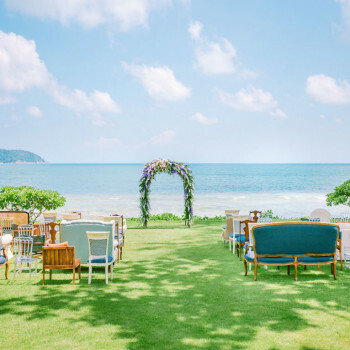 The aisle was lined with blue sky and clouds, and the couple said their vows in front of a bright red door to symbolize their exciting future together. The photography, of course, was flawless and was enjoyed by followers from around the world. Veteran actor George Clooney married budding star Amal Alamuddin in Venice, Italy, on April 22, 2014. The wedding had an elegant, classic style and the couple made their vows beneath an arch of white roses. 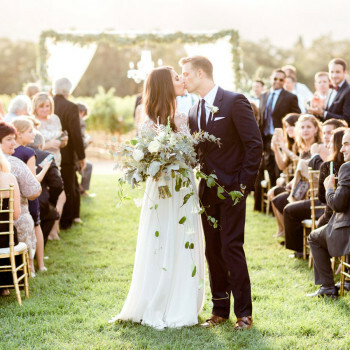 The bride wore a French lace wedding gown while the groom wore a smart black suit. She later changed into a stunning 1920’s flapper dress for an evening of cocktails and dancing with friends and family. We love this wedding because of the atmosphere of refinement and elegance and because the beautiful couple just looked so in love. The royal wedding of this century took place in April 2011 in front of 1900 guests at Westminster Abbey in London. Their wedding day was a public holiday in the United Kingdom, and thousands of people lined the streets to catch a glimpse of the Duke and his new Duchess while people from around the globe watched on television. Princess Diana’s first-born son’s wedding to Kate Middleton was as elegant and stylish as his mother and father’s in 1981. Kate wore a simple, yet stunning, Alexander McQueen dress and the prince wore his red Mounted Guard uniform. The Duke and Duchess have since had two children, George, and Charlotte. This wedding is a favorite because the love story between these two is so beautiful and, after dating her prince for eight years, Kate finally became a princess. 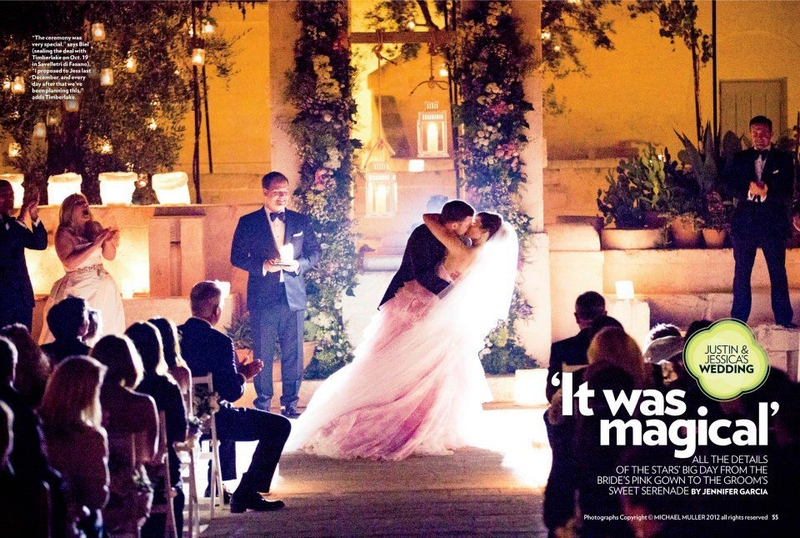 This fun-loving said their vows in Italy on October 2012 and treated their guests to a week of festivities. Jessica surprised fans with her petal pink haute couture gown, and Timberlake looked dapper in a black tuxedo. She walked down the aisle to a heartfelt serenade from her soon to be husband, and the ceremony was a moving display of the couple’s love. 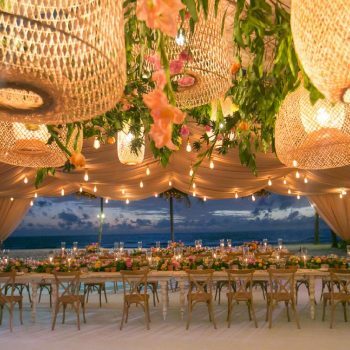 The sunset wedding dinner was a lavish al fresco picnic of Italian foods, eaten at rustic tables decorated with bright, fresh flowers. The most inspiring thing about the Timberlake wedding was the obvious passion that the couple has for each other, which is shown as the groom leaps in the air in one of the wedding photos.